One of the secondary hobbies to pipe refurbishing that I enjoy doing is to research the history of a particular brand or make. 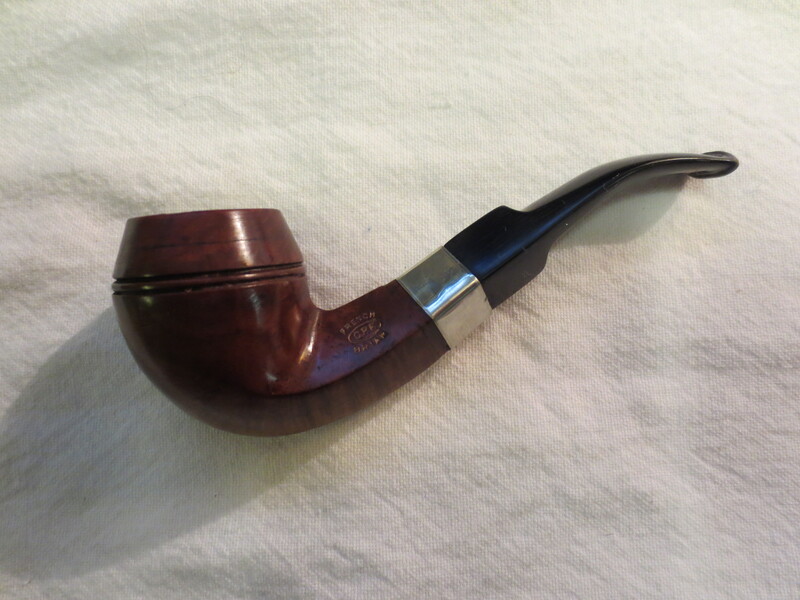 In a recent EBay lot I bought there were 3 pipes that were stamped with the CPF logo – CPF in an oval with the word FRENCH stamped in an arch above the oval and the word BRIAR stamped in an arch below the oval. I had heard that the CPF stood for a variety of names from Consolidated Pipe Factory to Colossal Pipe Factory and even Chesterfield Pipe Company. There was a wide range of conflicting information available on the websites and forums that I looked read while looking into the brand. One evening while I was talking with Chuck Richards about the lot (I know that over the years he has seen quite a few old CPF brand pipes) he suggested that I ask Robert Boughton about it. Chuck said that Robert had done some work on the brand when he was given an old Meerschaum to refurbish. I contacted Robert and he sent me a variety of links that he had found. He had looked into the history and background of the CPF brand stamp. He wrote that he had found in his research that “…CPF definitely stands for Colossus Pipe Factory, a late 19th and early 20th century American venture that in its short, happy life created some of the most beautiful briar and Meerschaum pipes ever made”. He sent me a link to the stampings and logos site (1) http://pipephil.eu/logos/en/logo-c1.htmlbelowwhere he had found photos that showed the curved circular printing of French Briar around the CPF oval as well as some with a space between where the customary CPF mark was stamped within an oval enclosure. He had also looked into a variety of EBay offerings of CPF pipes and also on Worthpoint.com. He found some amazingly beautiful pipes for sale. Throughout this article I have inserted photos of some of the CPF pipes that I have refurbished as examples. All of them showed the marks of having originally had rim caps and shank caps. Some of the older ones that I have seen have had beautiful filigree decorations in these areas. Even with that clear information from Bill, in both the invoices and the article in the trade jounal there still is some disagreement among pipemen as to the meaning of the letters in the brand. In my research I came across a few divergent opinions on the brand and I thought it important to cite them. The following information comes from Samuel Goldberger of Finepipes Estate pipe website as referenced below. On the page on his site dedicated to CPF pipes Sam wrote, “I have not found any clear history of CPF, but I have developed some ideas about them, based upon my study of early American made pipes. By the turn of the last century, a number of small pipe making factories had collected in and around New York City, including the William Demuth Company (WDC) and Kaufman Brothers and Bondi (KB&B), later to become Kaywoodie. From the design and quality of execution of these pipes, I believe the factories must have been staffed by European immigrants, probably Jewish, who had been trained in the older traditions of pipe making in France, Germany and Austria. The pipes they produced were in a similar style. They were expertly cut from very old, air-cured Algerian briar in classical shapes or from the finest grade of Turkish meerschaum; they sometimes rather small; they often had amber or Bakelite mouthpieces, gold or silver fittings. It’s my suspicion that pipes from these small makers were at one time sold or marketed under the name “Consolidated Pipe Factory.” Alternatively, CPF may have been the name of the distributor.” (5) Personally, not to disparage Sam’s ideas, I find the information provided by Bill Feuerbach in the paragraphs above to be conclusive that CPF stands for the Colossus Pipe Factory. 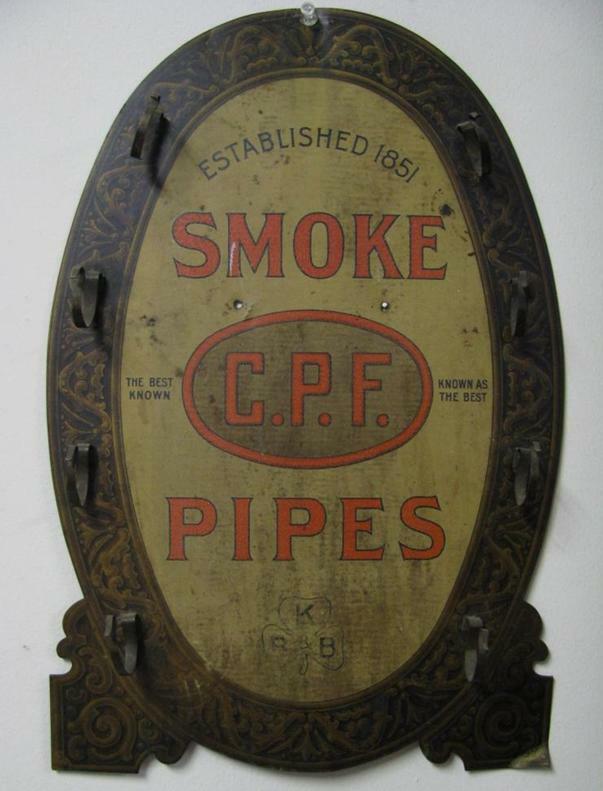 Further, in my research I found that others commented on the fact that they had seen pipes with both the CPF logo and KB&B logo on them that date to pre-1900. I too have seen, refurbished and sold some that bore both stampings/logos. This has led me to wonder if the dual stamping may have been a way to let pipe smokers of the time know that the companies were affiliated. From my reading and research it seems to me that CPF brand was discontinued sometime in the 1910-1920 range. Again, turning to Bill Feuerbach I found that he notes the following, which pins down the time frame of the discontinuation of the brand more specifically, “I have a CPF Chesterfield in our office display that has a nametag from way before my time that says 1900 CPF Chesterfield. It looks like most other Chesterfields you’ve seen, including the military type push stem, except this stem is horn and not vulcanite. As far as I have gathered the CPF brand was phased out sometime around 1915.” (6) Interestingly, he noted that the Chesterfield name and style was later introduced in the KB&B, Kaywoodie and Yello-Bole lines. He says that the 1924 KB&B catalog shows KB&B Chesterfields. From my research I believe that we can definitively assert that the CPF logo stands for Colossus Pipe Factory. The brand was purchased by KB & B sometime between 1884 and 1898 and that it continued until 1915. That time frame gives help in dating some of the older CPF pipes you or I might find. It can be said that prior to the dual stamping it is fairly certain that the pipe is pre-1884 to 1898. After the dual stamping it can be placed post 1898 until the closure of the brand line in 1915. CPF made beautiful pipes. I believe Sam Goldberger was correct in his assertion of the potential carvers that made the pipes being of European training and the classic shapes and well aged briar. That coincides with all the CPF pipes that I have come across. This entry was posted in Pipe and Tobacco Historical Documents and tagged Colossus Pipe Factory Pipes, CPF Briar, CPF pipes, Historical documents on pipes, History of the CPF Brand, Meaning of the CPF Stamp, Pipe and Tobacco historical documents, Pipe History, pipe related topics, Stories and Essays on April 14, 2013 by rebornpipes. Great read as always. 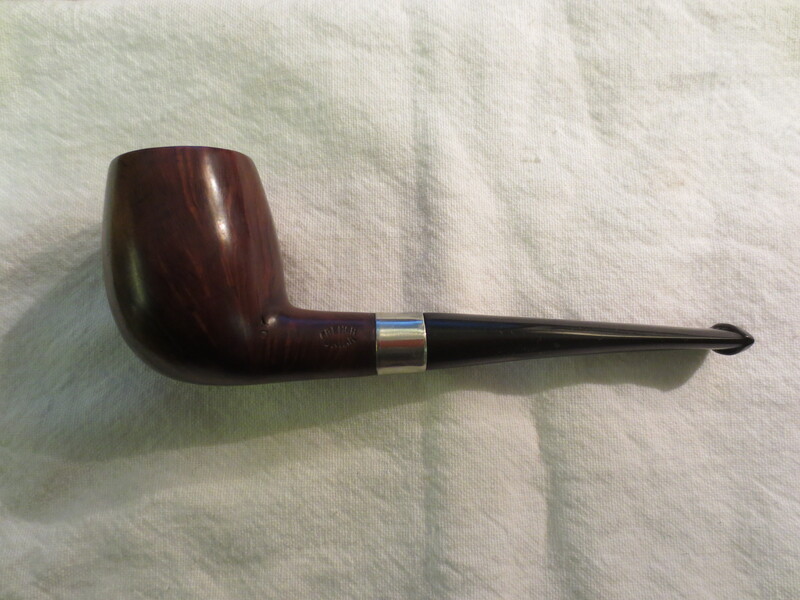 I recently got into pipe collecting and came across a CPF pipe at a local antique store and bought it at a fairly low price (Below $50). It is very ornate and is far from your “typical” style of pipe. 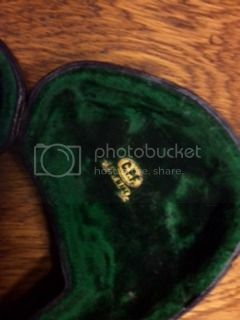 It has the oval logo with CPF stamped inside and the silver band with the hallmarks and the oval logo again below them. 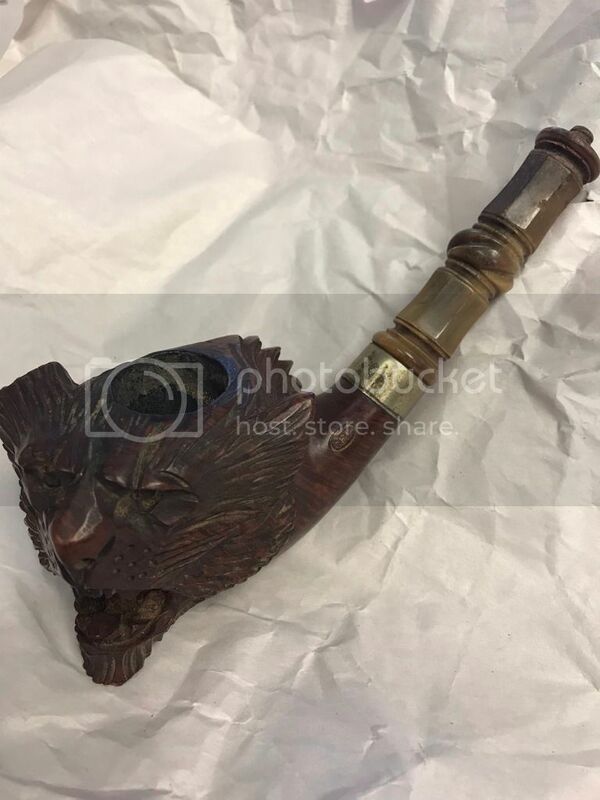 Does anyone know anything about ornate pipes from them or about this particular pipe? It is a tiger (I think) head showing its fangs and very, very detailed. Very large pipe as well. I’m 6’3” with large hands and it makes my hands look small. The stem is very ornate as well. The pipe is briar I’m guessing. Thanks! As Steve noted, CPF made many of the finest briar and meerschaum pipes of its time — really magnificent craftsmanship. Since you describe yours as being the shape of an animal, probably a tiger, I picture a meerschaum. I don’t recall ever seeing any CPF wood pipes that ornate, but it’s certainly possible. 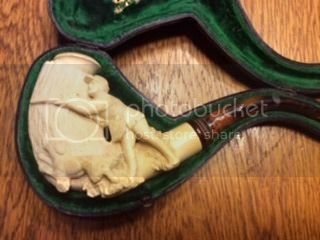 I’m finishing up part 2 of a series of blogs here on declining materials and expertise for restoring very old pipes and will feature a CPF Best Make turned lion’s head meerschaum with gold band and real red amber stem that took five years to restore. I’ll post it soon or you can email me at rakntur@yahoo.com. I also would love to see pics of your pipe! As soon as I saw the first picture I remembered reading it at some point, probably after 2016 when you wrote it! Thanks, though, because I’d forgotten that one. Sorry! But it’s now the only “elaborate,” i.e., animal CPF I can find online at the moment. 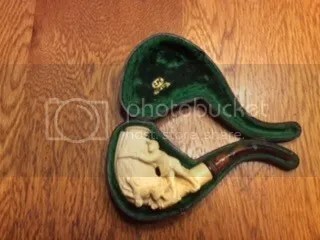 I also re-evaluated the year of manufacture of my turned lion’s head meerschaum and concluded it was probably made prior to c. 1883 when KB&B took over for various reasons, which I’m bringing up in part 2 of my Decline of Restoring Old Pipes series showing the restoration of my CPF: 1) when KB&B entered the scene, all of the CPF ads, official documents and even the pipe nomenclature (including meerschaum cases) immediately started including KB&B’s name and except in the nomenclature and cases, the address; 2) my Best Make, like yours, has only the very old leather covered wood case to identify it as a CPF — and mine also reads Best Make, or I wouldn’t have known — without mention of KB&B despite the definite room for the extra info inside the top of the case; 3) the only animals I’ve seen depicted on CPFs seem to be on the very old ones, and 4) from what I’ve observed, the higher number of ornate briar pipes from CPF seem to have begun in the very late 19th century after the KB&B takeover and increased in the 20th century until briars were more the rule rather than the exception to meerschaums. Now, having said all that, I recognize that Bakelite wasn’t invented until 1907. So that’s obviously a problem, to say the least! But that tenon on yours is exceptional. As I understand it, it’s actually carved from the meerschaum block. I’ll wrap this up now with a question I realize may be pushing it: despite the fact that the Bakelite stem and spacer are clearly very old and threaded, could they have been replacements for an original amber stem, albeit a huge one? Maybe there were just some CPFs in the “KB&B era” that didn’t get marked anywhere as such, and I’m wrong. 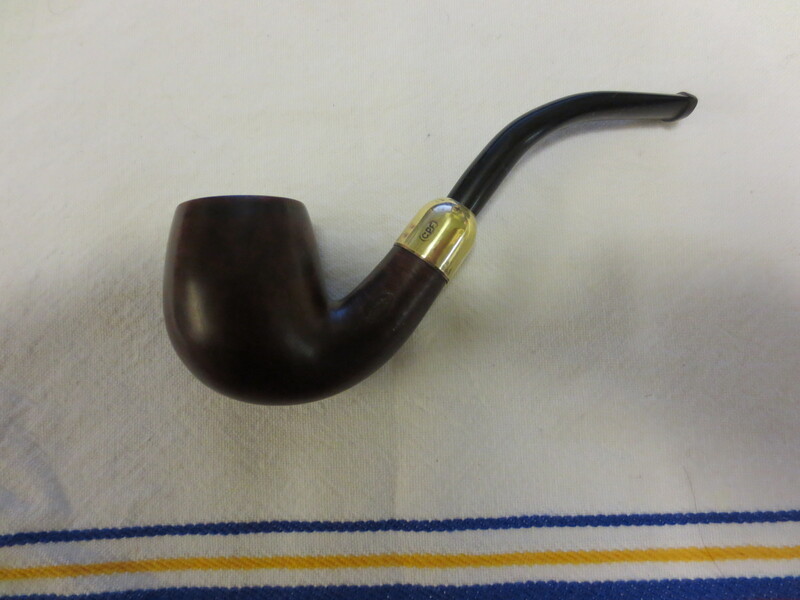 But I have trouble with KB&B selling such a special pipe with a Bakelite rather than amber stem. Those are three amazing pipes! Wow,,,,I wish you would have popped on them. Hello Robert! Thank you for your insight and knowledge. I spoke over email with Steve last night and sent him many pictures of the pipe. Maybe he can post them on here. It is currently in route to briarville.com for Rick to refurbish and restore. Also sent a vintage Savenelli System pipe I got yesterday from a friend. Nice! But doesn’t that look pre-1883 or so to you? I’m still looking for animal pipes from CPF and finding some, but they’re all ancient looking other than mine, which is in great shape with traditional materials like a gold band and amber stem that make dating difficult. Well, I’ve been wrong before and may be now, but I’d still like to see a good argument to that effect! From the information you and Steve have provided on this thread I’d say it is definitely pre 1898 because of the lack of the second stamp “KB&B.” Also it does seem to be pre 1883 as well. The older gentleman who owned the Antique store didn’t know anything about it and I got it for a steal as it was less than $50. I am having a hard time finding any animal themed briars from CPF and not many briars from them period. Thanks. I got your email with the great pics and just replied. I want to emphasize I could be wrong in my reasoning about the ages of CPF pipes. I’m just trying to make sense of the mess, which is typical to the pipe world! Forward new pics after Briarville is done slicking it up! I own several CPF pipes, I always thought they were discontinued around 1920. Glad to know that it was 1915 and not 1920. That means any CPF you now own is a Centennial or even more. Thanks for sending the photos Larry. Here are three photos Larry sent of the pipe he spoke of. At this late date, I just came across this wonderfully thorough work of research and conclusions, having no idea I had been quoted but of course happy as always to be of help. Steve and I share a penchant for getting the facts right which has, if I may say so, bonded us somewhat. I know the habit came to me from my experience as a freelance news reporter and photographer. I can’t say where Steve acquired the good habit, but he certainly has it down. Thanks Robert. It is good know there are more of us. I would say that indeed makes us kindred spirits. Jacek is another fellow who has the bug. He has written several articles for the blog. He has a passion for digging out information. I found a tiny 2.5” black carved bird foot bowl w/ ivory stem marked C.P.F. in an oval . After reading everything I could and looking on Ebay , not Worthpoint yet , I cannot find out it’s value and I want to sell it . I believe it might be plastic because it has a seam on both sides . It has ” MICHIGAN CITY , IN .” but most of the ink is gone from the Y,I &N . Do I need to post a picture ? Sounds like a neat little pipe. It sounds like a little souvenir pipe though I am not sure of the value. Its value would depend on the person who collects that kind of thing. Sorry that I cannot be of more help. I just bought a huge pipe with a carved bowl sporting the CPF Chesterfield logo as well as the word “Selkirk” beneath the logo on the bowl. I haven’t been able to find anything about Selkirk other than it’s a city in Canada. There is also a chimney pipe manufacture by that name. Curious! The pipe cleaned up nicely and I’m looking forward to smoking it soon. This was a great read. Did you win that catalog that details the CPF factory? I’d love to see that. Hello. I currently have for sale on eBay the 1908 C. P. F. Kaufmann Bros & Bondy CATALOG OF PIPES Colossus Pipe Factory, item no. 400515430229 which removes any doubt as to the correct name and gives the reader a virtual tour of the Colossus Pipe Factory. Great detective work and perseverance Steve. Thanks Don for your work on this.